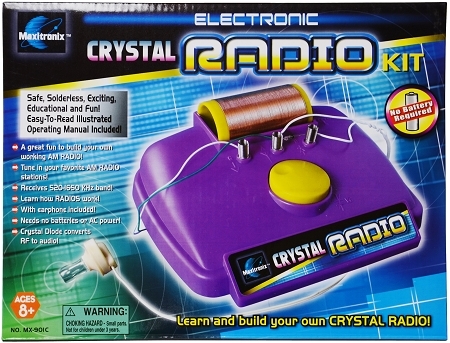 Build your own working crystal radio. Safe, solderless, educational, and fun! Easy-to-read instructions included. 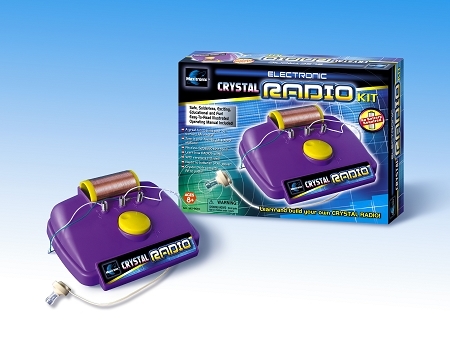 Crystal diode converts RF to audio tune in your favorite AM stations! Learn how radios work Includes earphone.